Many of the affected services return a Google error page. Google services experienced an outage on Tuesday, causing major websites and services such as Snapchat and Spotify to briefly go down for users around the world. The cause of the outage was not immediately known. 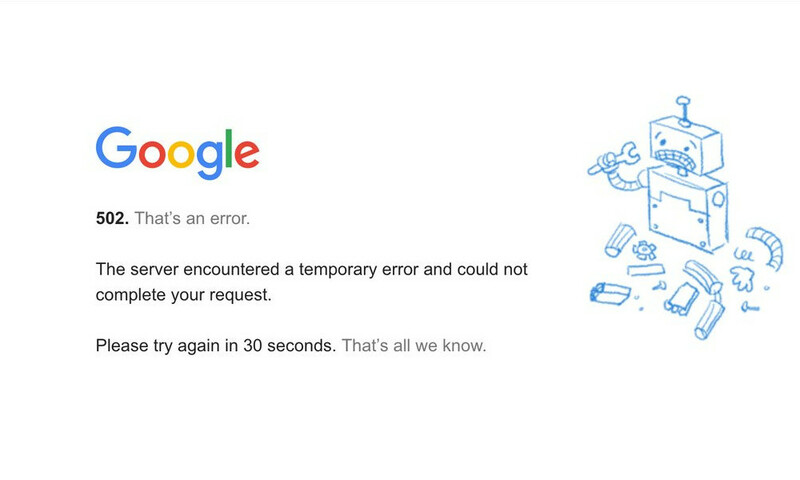 The incident began at about 12:15 p.m. PT on Tuesday when Google App Engine, which is used as a web framework and cloud computing platform to develop and host web applications, began experiencing problems. Google confirmed on its status dashboard that a number of its services on the Google Cloud Platform were experiencing outages. This included Google App Engine, Google Stackdriver, and Google Cloud Global Loadbalancers. As a result, numerous websites using the Google Cloud Platform were affected, causing them to go down or partially down. Other web services were also unavailable for many users, including popular apps such as Snapchat, Spotify, Discord, and Pokémon GO. The issues were fully resolved by 1:05 p.m. PT. There was no immediate word on what may have been the cause of the problem, but Google said it will conduct an internal investigation and will publicly release the findings.